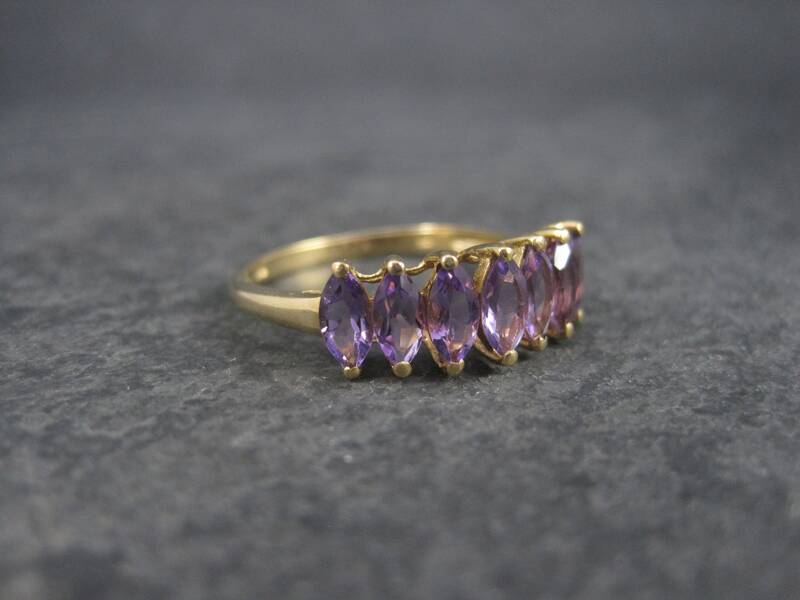 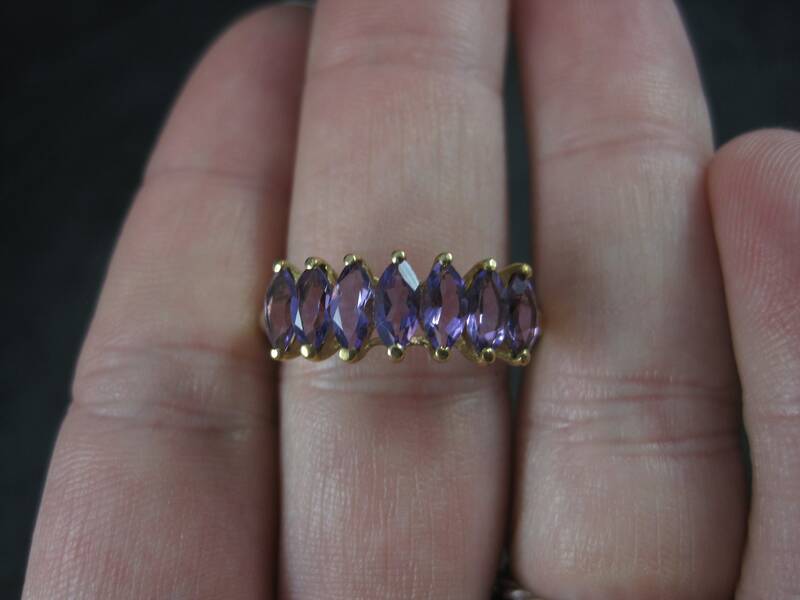 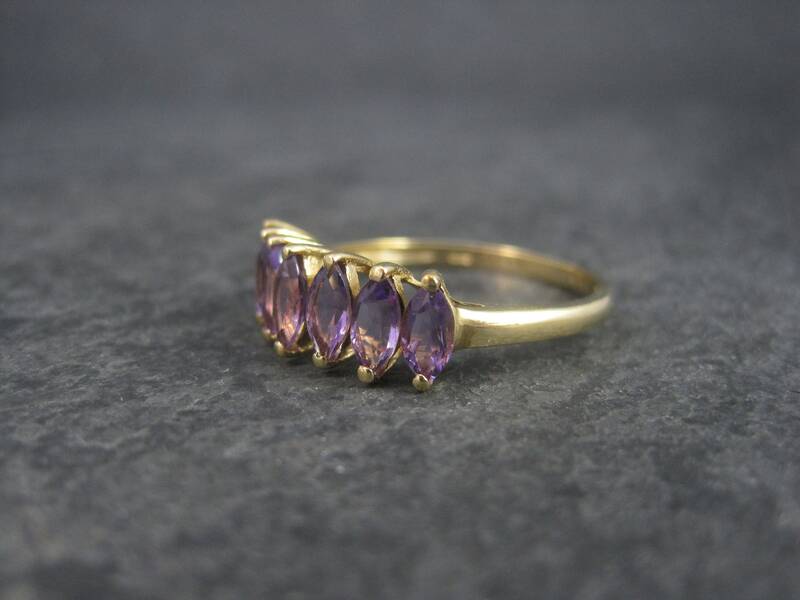 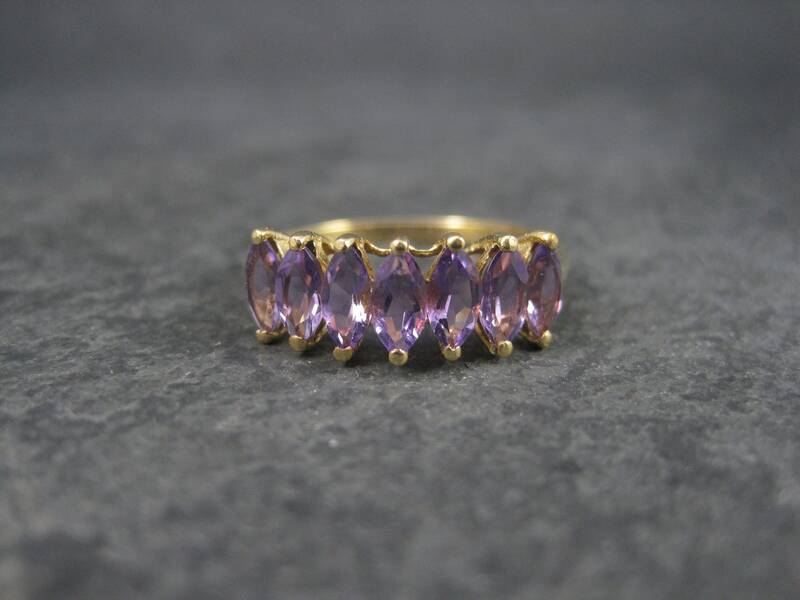 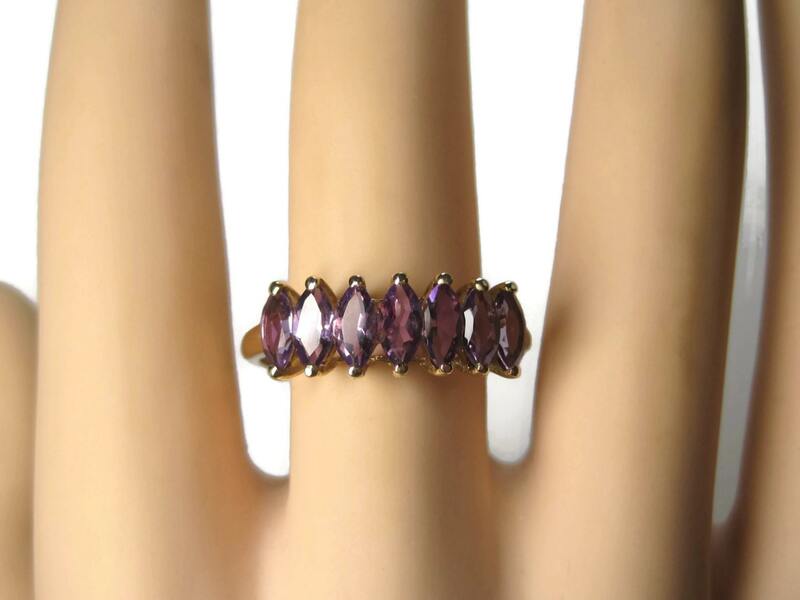 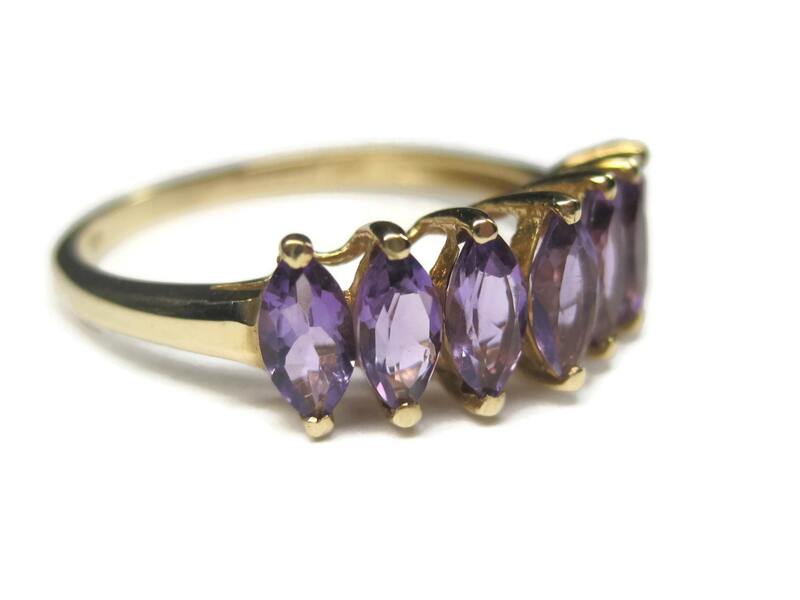 This gorgeous amethyst ring is 10k yellow gold. 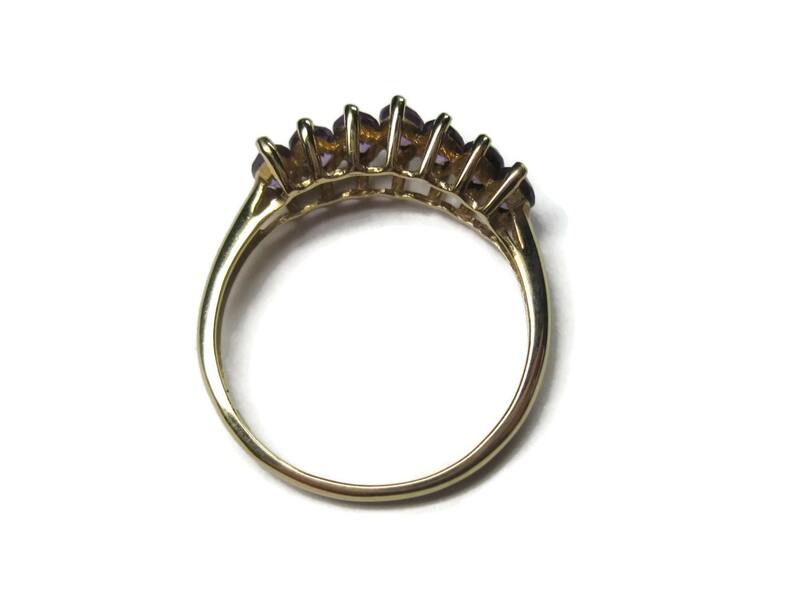 It is the creation of the designer Clyde Duneier. 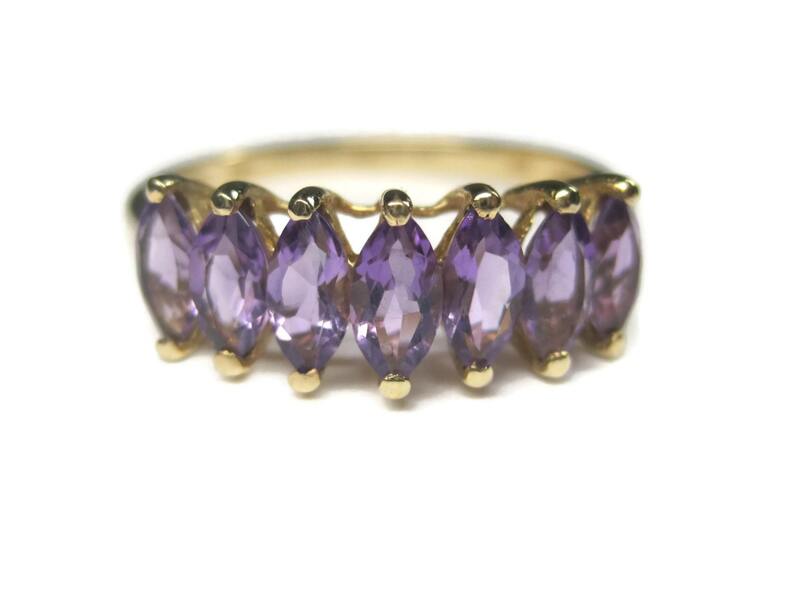 This ring features 1.4 total carats in marquise cut amethyst. 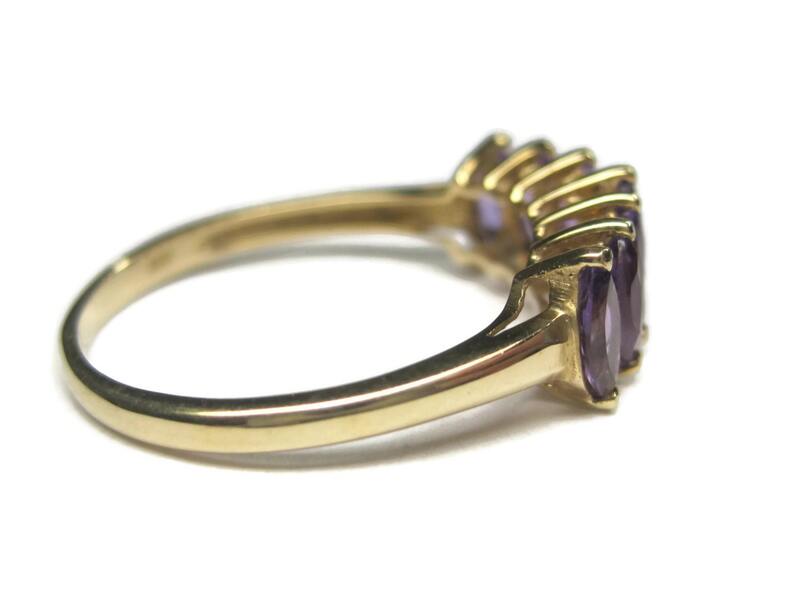 The face of this ring measures 1/4 of an inch north to south with a rise of 6mm off the finger. 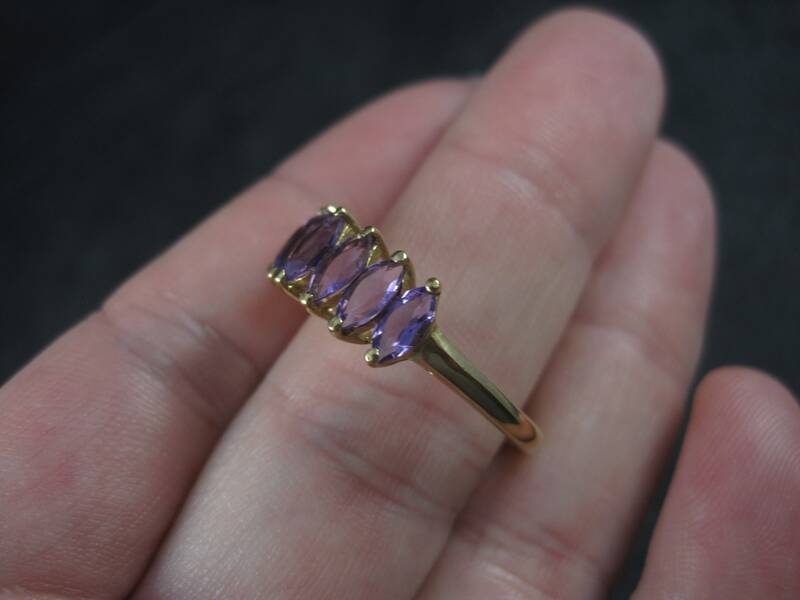 Condition: Professionally cleaned and polished.